The story of Orpheus and Eurydice is one of the most romantic/heartbreaking stories from Greek mythology. You've probably heard this mythical love story because it's used to lecture impatient people, which isn't helpful. Orpheus fell in love with a nymph named Eurydice, who tragically died on their wedding day when she was walking down the aisle and stepped on a poisonous snake. Orpheus was able to make his way to the Underworld and used his musical talents to convince Hades to release his true love. Hades agreed, but only if Orpheus would lead his bride to the world of the living without looking back to make sure she was following him. Orpheus almost made it all the way to the surface before he couldn't control himself and turned around. 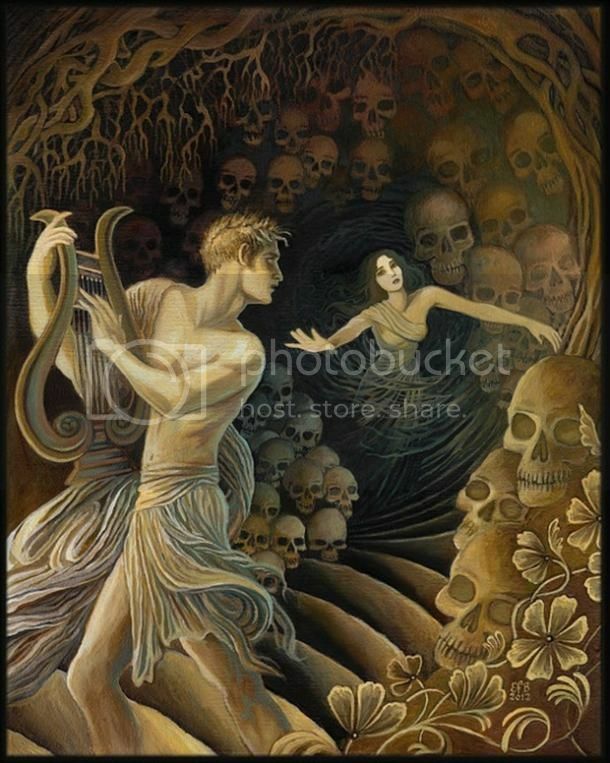 Eurydice had been following him the whole time but once he looked at her she was immediately taken back to the land of the dead for eternity. Orpheus swore to never love again.